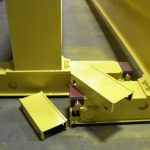 Meeting the needs of our customers, large or small. 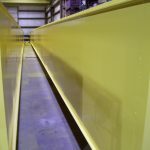 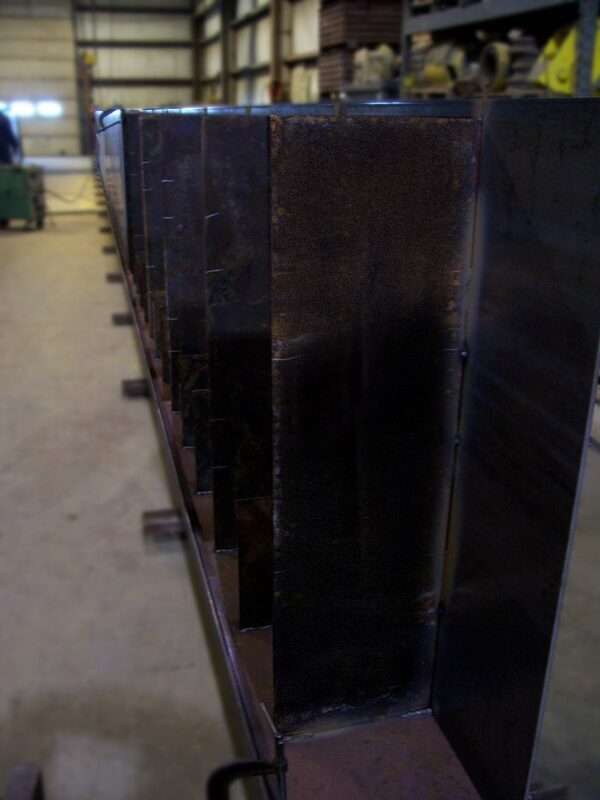 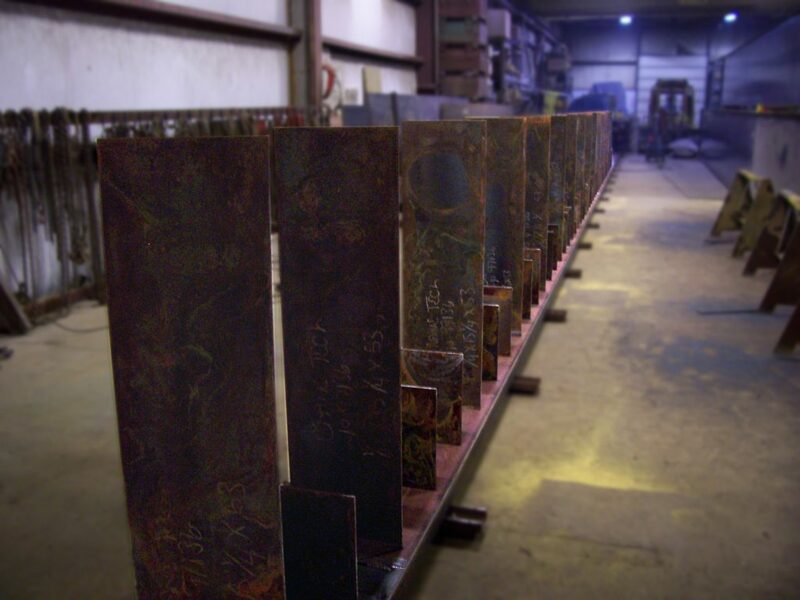 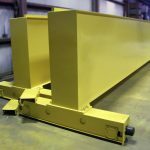 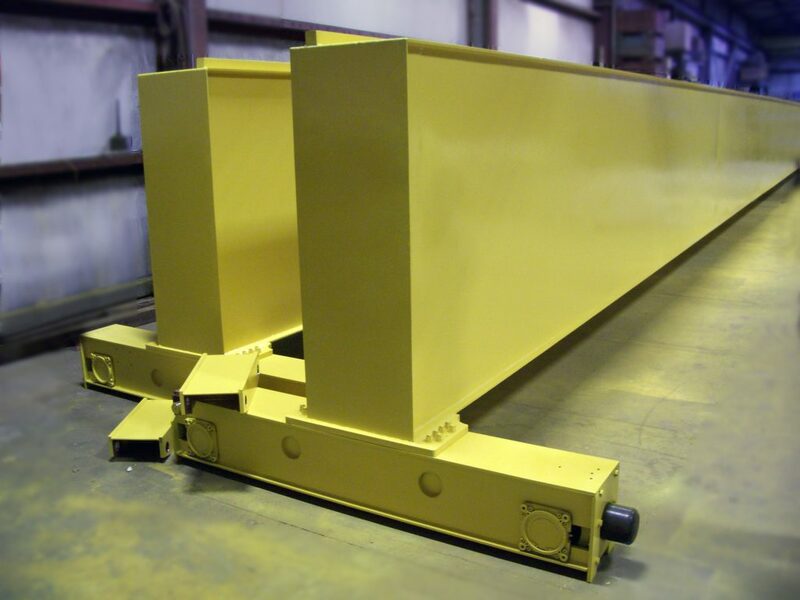 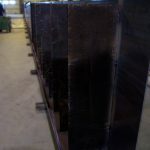 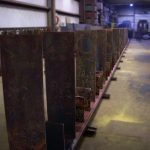 There were a total of four of these steel girders built in our shop. 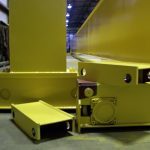 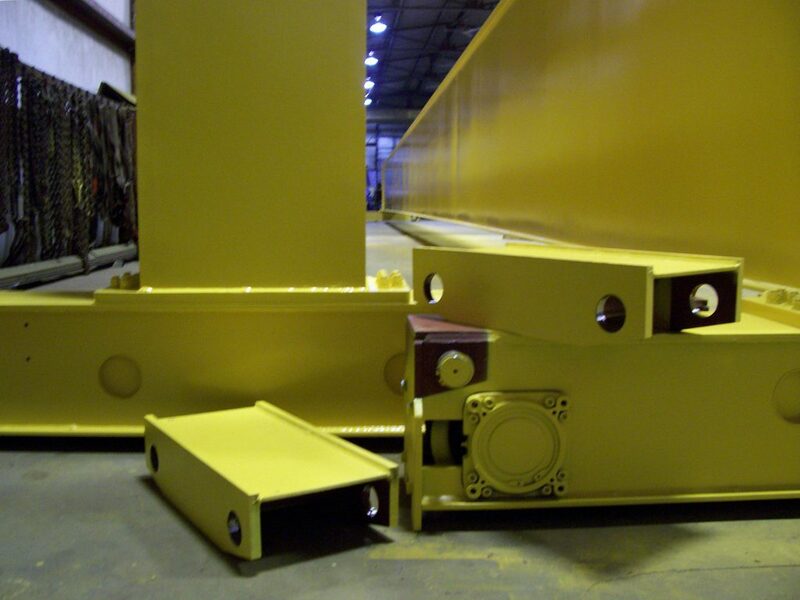 The Girders had 2″ square bar for the trolley rail located over the inside wed plate. 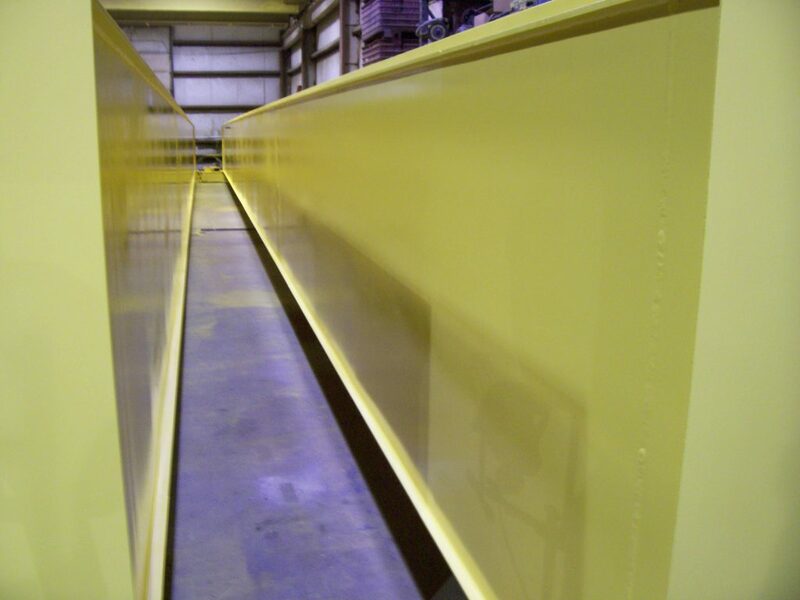 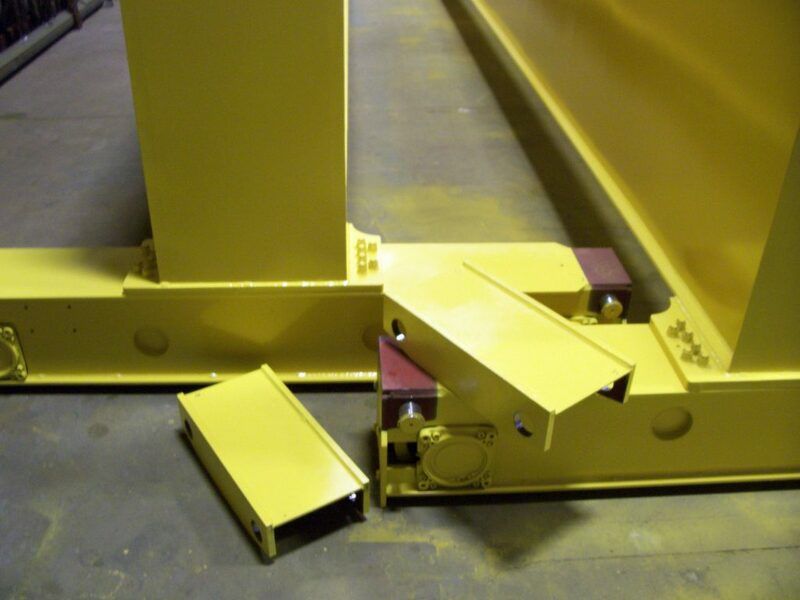 Girders also came with welded end stops, holes for lifting pins and safety yellow paint.